✓ Agility Test: Do you have the ability to shift your center of balance quickly and precisely? Find out with this test, which requires you to shift your weight in all directions on the Balance Board — front, back, left, and right — in a very controlled fashion to hit the blue boxes with the red dot that represents your center of balance, as demonstrated in Figure 2-3. You have 30 seconds to hit as many boxes as possible. This test becomes progressively more difficult; initially, there are several rounds with single boxes, followed by multiple boxes, and, ultimately, moving boxes. ^ Be sure to move your upper body forward and backward for this activity as well, as front and back shifts in balance (the sagittal plane of motion) are also ■ fojl required to get those boxes. Although it may be tempting to randomly move in any and every direction, use controlled movements to sharpen your proprioceptive sense, which is the unconscious awareness of the space that your body occupies. These exercises are especially good if you are accident prone like one of the authors of this book. The Agility Test in action. Try to hit those blue boxes with the red dot! ✓ Basic Balance Test: Want to see how good you are at shifting your weight between the left and right sides of your body? If so, this test can provide some much-needed answers. The two onscreen vertical bars represent your left and right sides. As you shift your weight, the bars become filled in red, depending on how much pressure is being applied. Thus, if most of your weight is being put on your left side, the left vertical bar will be almost completely filled, whereas the bar on the right will be almost empty, as shown in Figure 2-4. You will also see blue rectangular areas on each of the vertical bars. The goal is to shift your weight so that each bar gets filled enough to reach the blue rectangular area, which turns yellow when you reach it, and then to hold that position for three seconds, at which point those elusive blue rectangles will change positions. You have five rounds to master. ✓ Dual Balance Test: Are you adept at shifting your balance while also adjusting the position of your arms? You can find out with this activity, which is the Basic Balance Test with a twist. For this activity, you hold the Wii Remote with both hands out in front of you and follow the instructions for the Basic Balance Test, as previously outlined, while also adjusting the position of your Wii Remote so that it lines up with the blue bar that appears in the onscreen circle that represents your Wii Remote. This circle appears in the center of the screen between the vertical bars. After you successfully shift your balance and line up the Wii Remote, all blue bars turn yellow. You now have to hold steady for three seconds, after which you progress to the next round. You have 30 seconds to complete five rounds. This test is one of the more challenging Mind and Body Tests. If you find you are having a tough time coordinating all movements, try to adjust your center of balance on the Balance Board first and then adjust your Wii Remote to match the position of the blue bar that appears in the onscreen circle that represents your Wii Remote. ✓ Judgment Test: Are you able to quickly process information and react appropriately? See how well your brain and body collaborate with this virtual twist on Simon Says, where you need to move your body to select numbers that are either less than or greater than a number designated by Wii Fit Plus. To start the test, you have to shift your center of balance so that the red dot appears in the blue circle on the center of the screen. A number in a green bubble appears onscreen. For example, if the number needs to be less than five, shift your center of balance to select it, as shown in Figure 2-5. If not, stay as still as a mouse. For the next number to appear, the red dot needs to move to the blue circle. See if you can get all 20 correct. ✓ Memory Test: Do you have the memory of an elephant? Find out with this test, which gives you 25 chances to compare the number in the center with the number to the right. If the number to the right is greater than the center number, you have to crush the center number by squatting to bring down the press that appears above it. If you don't want to crush that number, stay still or that press is going to come down. Initially, all of the numbers are visible, but eventually they will be covered up and you will have to recall what the numbers were. ✓ Peripheral Vision Test: How keen is your peripheral vision? Find out with this test, which is one of the more challenging Body Tests. The test starts by having you center your balance by adjusting your body so that the red dot appears in the middle blue circle. After you hold this position for three seconds, numbers will appear onscreen. You have to click on them in ascending order, from 1 to 10, while keeping the red dot in the blue circle. After you move the Wii Remote so that the cursor appears on top of the desired number, press A. Be sure not to move on the Balance Board. If the red dot migrates outside the blue circle, the numbers vanish and you will have to center yourself again on the board before the numbers will reappear. 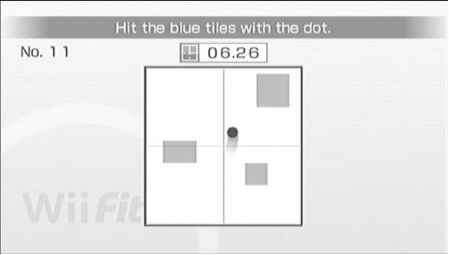 If you have trouble with this test, you can hone your skills by doing Basic Run Plus, which requires you to use your peripheral vision. Basic Run Plus is found under Training Plus and is described in Chapter 6. ✓ Prediction Test: Are you able to predict obstacles that lie ahead of you? This 60-second test, which is reminiscent of Balance Bubble and Balance Bubble Plus (both are described in Chapter 6), requires you to shift your center of balance to the right or left to avoid hitting the walls and other obstacles, some of which are mobile. To complete the test, you have to look ahead and predict where the mobile obstacles are going to be when you reach them to avoid a collision. If an impact ensues, it's game over. You can hone your prediction skills by training with Obstacle Course, Balance Bubble Plus, and Balance Bubble. The former two appear in Training Plus and the latter under Balance Games. Turn to Chapter 6 to find out more about these activities. ✓ Single Leg Balance Test: Can you stand on one leg for 30 seconds? Sounds simple doesn't it? After you select which leg you'd like to stand on, place it on the line in the middle of the Balance Board, lift your other leg off the Balance Board (you can rest it against the standing leg, if desired), and press A. The testing will now commence. You see an onscreen graph with two thin vertical borders, as shown in Figure 2-6. As you balance yourself, your frontal plane of motion (side-to-side balance) is illustrated by a red line that stems from a triangle (this represents your foot) resting on a horizontal red line (this represents the Balance Board) with a thin blue vertical line through the middle of it that extends from the top to the bottom of the graph (this represents the line through the middle of your Balance Board). The left and right sides are indicated on each side of the graph, and percentages for how much of your weight is distributed on both sides of your foot are provided. As the test progresses, those thin vertical borders become more prominent, allowing less wiggle room — if you go into the blue, it's game over. If you are concerned about your stability, you can use an object or spotter for support. Just be sure to keep practicing so that you can eventually shed these aides. The Single Leg Balance Test. ✓ Stillness Test: Can you remain as still as the Royal Guards who protect Buckingham Palace? Find out with this 30-second test (called the Steadiness Test in the original Wii Fit), which requires you to hold as still as possible — no fidgeting. That's it! Easy, right? Like an annoying tourist, Wii Fit Plus tries to distract you. A red dot designating your center of balance appears onscreen in a black and white grid, and after ten seconds, the grid starts to move. Don't follow it. Just keep your stance. In ten seconds, the dot and grid completely vanish. Keep holding still, because it isn't game over yet. After another ten seconds pass, testing is complete and your movements are revealed. Are you Guard material? ✓ Walking Test: Is there a spring in your step or is your gait off-kilter? This test reveals how well you are able to distribute your weight as you walk. Wii Fit Plus instructs you to stand with your feet spread equally apart and then walk in place for 20 steps; try to avoid any unnatural, exaggerated movements. Make sure to keep your feet in the textured squared-off sections of the Balance Board; otherwise you will look like a waddling duck and your steps may not register. The meter at the top of the screen counts your steps, and the onscreen foot that corresponds with the side being stepped on will turn red, enlarge, and have blue rings emanating from it as you take each step. That sounds ominous, doesn't it? Don't worry; your real feet won't take a beating with this activity. At the end, your balance for each side will be provided as a percentage. You also receive a percentage for your overall balance, and if you completed the activity before, the previously attained value will be provided as a point of reference. The faster you go, the better your result will be; however, if you want a more accurate assessment of your balance while walking, a normal pace is the way to go. ✓ Ultimate Balance Test: This test is not a randomly generated test, but it fits in very well here. After you are all set up, you can access this test anytime from the Training Menu. Just click on the animated virtual Balance Board in the background; it may be throwing punches or jogging on one of the treadmills. 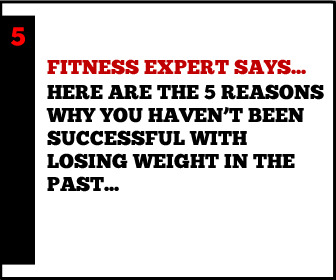 After you click on it, you are asked: Would you like to take the Ultimate Balance Test? 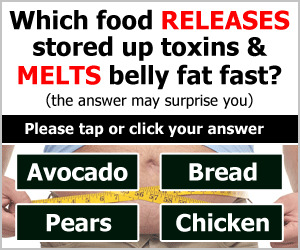 Once you click Yes, you will find that this activity is reminiscent of the Basic Balance Test, except that you now have to distribute your weight evenly. Although the blue bars are always aligned at the center (50 percent mark), they are now much thinner and will proceed to get even thinner as the test progresses through all three rounds. You have 60 seconds to get through the activity, and for each round, you have to stay within the blue area for three seconds. See if you can make it through. After you do, you can try to beat your time to get a new record. You have to hold your stance 50-50 for 60 demanding seconds to be considered a Master of Balance. After you perform a Mind and Body Test, that test will become available for you to practice anytime by going to the My Wii Fit Plus Menu and clicking on the virtual Balance Board cavorting in the background.